Rat Pack Las Vegas Spectacular - Neil Drover - agency for live music, presenters and entertainers. Successful shows and rave reviews all over the world. Great songs, great singers plus an abundance of fun all cleverly combined to guarantee a wonderful time. 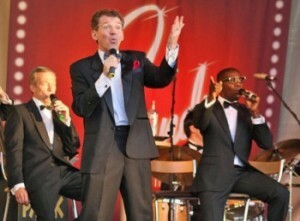 The Rat Pack Tribute are currently selling out theatres, casino’s and events worldwide. Great Britain – USA – Turkey – Switzerland – Germany and Ireland are just some of the countries to benefit from great times! As featured on TV in many of the great swingin’ nations above. The Rat Pack Vegas Spectacular is our most prodigious production and all totally live show featuring live in person. Special Guest Marilyn Monroe in a prolific slice of pure magic! Bring the hippest and hottest show on the planet to your event and like Frank Sinatra be Mr Success. To produce a memorable soiree you need a great show, smart move – you have come to the right place baby. Available in several different formats to suit most venues, get a quality show and a truly fitting tribute to The Rat Pack.